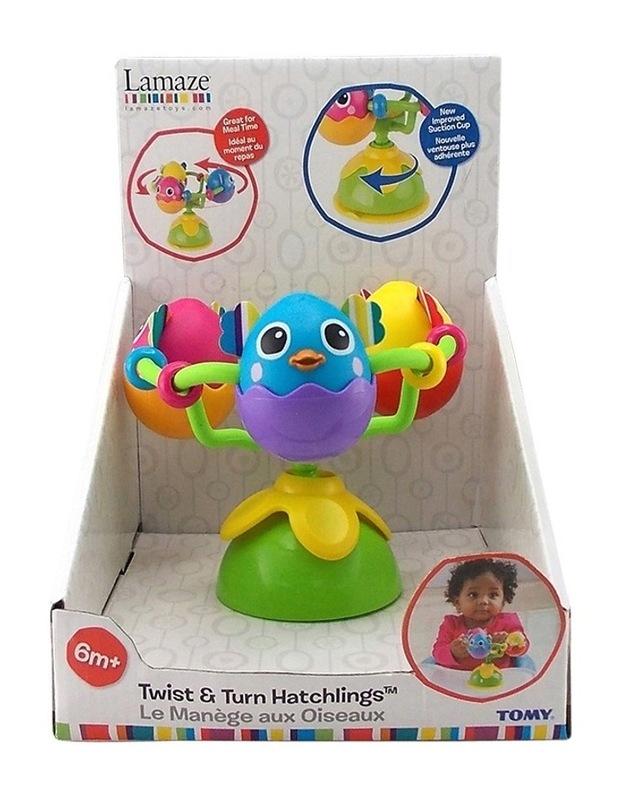 The Twist and Turn Hatchlings from Lamaze have been giving the farmer the run-around! These cheeky chicks love to go for a spin, round and round like a carousel, and even spin by themselves. • Each has a different coloured face and a contrasting shell. • There are soft flappy ears to explore with vivid stripes designed to arouse curiosity and encourage baby to focus. • Clicking and rattling noises stimulate sensory awareness.